VATSIM procedures for JHB pilots. Pilot callsigns and online information. These aircraft repaints are not for flying aircraft but are designed for use as AI traffic. Flying with other pilots in FS is far more rewarding than seeing dumb AI aircraft on screen. Whilst flying alone can be fun and the AI traffic has made the skies more interesting it is a far cry from flying with your friends and being able to talk to them on the radio. Basic MP sessions, or the more challenging online ATC services, are both great fun and provide a means of sharing your hobby with fellow pilots. At basic level all you need to fly online with other pilots is FS itself. One pilot elects to host an MP session and notifies his IP Address (and suggested airfield location) to other pilots. If you enter this IP Address in your FS MP setup screen and press Search FS should locate the session and allow you to join. Such sessions are usually set up between friends or an MP email group but there are one or two web sites that are springing up so it is worth checking. Alternatively you could enter the IP Address of a UK multiplayer server like that set up by Rory Gillies at Shetland Flyer (see http://lerwick.plus.com/). The advantage of a permanent server is that many pilots may be connected so you never know what to expect - it could be very quiet or you may see quite a number of aircraft. Communication in MP is awkward as the default method is via a text input box. This is slow and can be frustrating when you are busy with flying the aircraft. Many MP session organisers now use alternative voice programs such as Roger Wilco or Teamspeak allowing pilots to speak to each other..
All you need for voice communication is a decent sound card and a headset with a boom microphone - you can get very good quality headsets these days at quite low prices. I use a Sony DR220 and it is excellent for both FS and listening to DVD's.. For those of you who have not used a voice program before I think you will be surprised at the quality of sound. Roger Wilco isn't just for FS either - you could have a long conversation with your friends around the world, all for free. Although basic MP flying can be great fun it's limitations rapidly become apparent. Once you go into MP mode in FS it automatically stops the FS AI aircraft and ATC - leaving you with quiet and empty skies except for your friends online at the time. MP is also limited in the number of pilots that can join in a session (it can get a bit strained once you have 6 or more pilots online) - this is due to the way FS sends its data to everyone connected to the session. MP is also a "pilot only" setup so random flights are the usual scenario with fly-ins organised by more ambitious groups - but there is no supporting ATC. To take part in an ATC system requires installing their server software. The two most well known ATC providers are IVAO and VATSIM and they both use their own proprietary software. It is therefore worth checking each of these organisations to see which one best suits your needs. IVAO is a structured ATC system that follows real world procedures. It is far less than VATSIM and is not as friendly for new, casual users as it used to be. VATSIM needs no introduction. 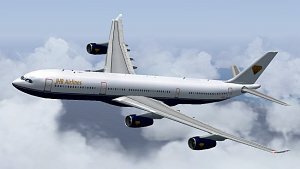 Reformed after the original SATCO system closed down VATSIM has been running for many years now and can claim a huge following of both enthusiasts and real world pilots. VATSIM uses real world procedures and it must be considered the ultimate experience for any FS user who wishes total immersion in reality. Joining in an online ATC session might sound intimidating. In truth it varies depending on what you try to do. As you are entering the world of ATC it may come as no surprise that a basic knowledge of how ATC works is needed - and most pilots have picked up the basics of this if they have used the AI traffic and ATC systems built into FS2004 and later. With AI running you hear ATC talking to the robot AI aircraft and you interact by selecting a choice of radio options to make your transmissions. The only difference between FS and online ATC is that instead of using the menus to obtain clearances and communicate you will be hearing other live aircraft and talking to real FS controllers. ATC varies in complexity and it need not be said that a flight from an airport like Heathrow is not for beginners. Without doing your homework and knowing the proper procedures (like SID's) it would be beyond most newcomers to the system. A simple VFR flight between two small airports is much easier and most pilots start off in this way and develop their real world skills over time. This can be very rewarding. Most online systems have a wealth of tutorials about real world procedures and provide training for users joining the system. They also have very helpful forums to answer any questions you could possibly ask about flying or controlling. A look at the basics of ATC. Now you are flying in a controlled environment this is the time to learn some of the basic ATC procedures that will be useful for MP flights. If you think you know how to fly your FS aircraft then the real time environment of online ATC can cruelly show up your weak areas. This article describes the workload of a real airline flight from Ronaldsway to Heathrow and highlights why real pilots are more prepared for the unexpected. Inset comments are included to help FS pilots in procedures they have not come across before. 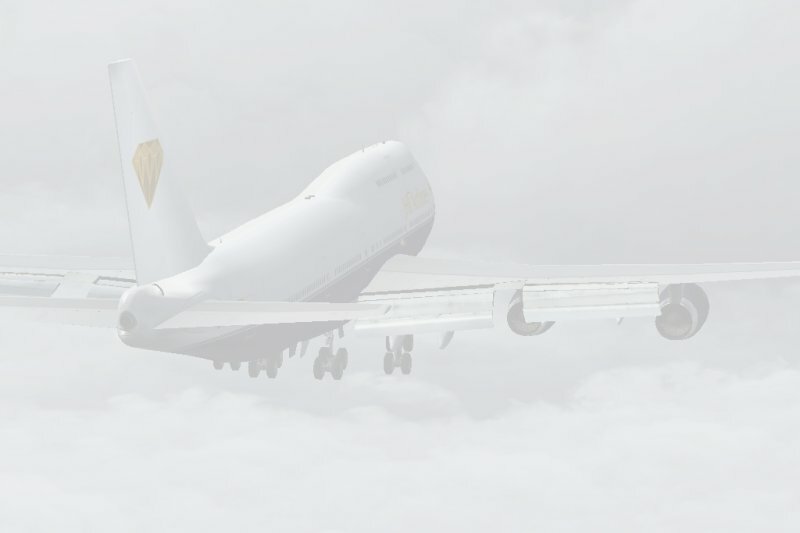 Flight Sim versus Reality In this tutorial I'll describe how to plan a perfect flight in the UK - and why doing this can still leave you unprepared for what may happen. This article is based on a real flight from Ronaldsway to Biggin Hill in a Cessna CJ1 Citation. Further articles are available on my Tutorials page. Tutorial Miscellany Over the years the JHB crews have asked me lots of questions about flying procedures and some of the emails I fired off were essentially quite detailed tutorials. I never kept copies of these - but some of my pilots did - and it is well worth giving them a second airing. Some of the articles describe ATC procedures, some cover Met or Navigation and some are about aircraft handling.. Assuming you have installed the pilot software and have run through the correct set up procedures here is a guide as to what happens. There are just two things that you MUST do before the temptation to hit the CONNECT button overcomes you. 1. Make sure you are not sitting on a runway - you must be sitting at a gate or somewhere well clear of the runways and taxiways. It's obvious really - as soon as you connect your aircraft would appear on radar screens and to other pilots - and you would be sitting on the runway. If the airport is busy it would spoil their day a bit. Be considerate and park somewhere safe. 2. Fill in the Flight Plan - This is to inform other users of your intentions. This may be new to you but most of the boxes are self explanatory. If it is just for a test then type "Testing only" in the remarks box. That way you can go online and play with the various software settings without being disturbed by others. You may see other aircraft moving around but no one should pay you any attention. When you connect to IVAO or VATSIM it will automatically disable all your AI traffic. If you see aircraft moving around they will be other online pilots flying around you. You will see these aircraft both visually (just like AI aircraft) and on the TCAS display if you have this. This bit is mainly for beginners or the curious. It covers what actually happens when you connect online plus good (or bad) habits you should be aware of. First I will describe what to expect when you connect on line for the very first time. 1. One very important rule for all pilots. Don't have the aircraft on an active runway when you press the CONNECT button! Yep, I said it above too but this is important. If a controller is active at your airfield and has other aircraft on final it isn't fair to pop up on his screen blocking the runway! As in real life it might cause something of a panic.. Instead, slew over to the apron and then connect. The second part of this rule is also obvious - NEVER SLEW IN FS WHEN YOU ARE CONNECTED. Not unless ATC gives you permission to. What do you see when you connect? Well, possibly nothing. It really depends on the time of day you connect and how many other people are online. Choose somewhere busy like Heathrow or Frankfurt on a Saturday night and it will be a lot busier than Exeter. As soon as you connect don't expect to be inundated with lots of radio chat and controllers barking at you!. ATC coverage is variable depending on time of day or weekdays/weekends and you may plug in when no ATC is present. The ATC panel will actually show you any ATC units that are active so you always know just how much ATC is available. There may be a lot of airports active or there could be none at all. You won't hear any of them until you tune into their frequency. Don't be worried by ATC. We all do this for fun and ATC are well aware that there are a lot of beginners around - which applies to ATC too! If you don't understand what ATC have said then do not be afraid to ask him to repeat a message. "Say again" is a well used phrase! Keep all calls to ATC short. If you talk a lot it can spoil the fun for other pilots because you stop everyone else from passing messages. Apart from that it is all too easy to get tongue tied if you try to say a lot in one go. Use real weather if you want to. ATC have access to current real weather reports and this helps make the experience more realistic. Note that on VATSIM real weather is automatic and could easily give you conditions outside your abilities. On IVAO you can turn real weather on or off. Choose flights carefully. By this I mean relative to your knowledge of the procedures that would be required for that flight in an ATC environment. VFR flights should be no problem but, conversely, if you elect to fly an Airbus IFR into Hamburg be aware that you could possibly be asked to conform to the procedures the real flight might expect. If you can fly SID's and STAR's you'll do just fine.. Pick up the radio "patter" by listening to what others do or by listening to the ATC instructions more carefully in the default ATC. This patter is quite rigid so it does not take long to build up an adequate list of phrases for most of your flights. ServInfo is a very useful program for seeing who is active in VATSIM or IVAO without having to join the session first. One very useful feature of the program is that a click on any controller or aircraft you will get a detailed pop up panel showing full information for that person and flight. If the pilot is flying with a recognised airline this panel will also show the airline logo, airlines name and callsign. Unfortunately the author of ServInfo stopped upgrading the program some time ago in respect of incorporating additional airline logos and we now have to distribute our own. This is quite easy at a local level as you just insert a line in the servinfo.dat file and drop a bitmap in the ServInfo/Logos folder. A more detailed servinfo.dat file is also available. This contains many more UK airports than the default servinfo file plus many private strips. It also has a reasonably up to date VA listing.